Twenty-four industry experts were welcomed as new members of The Gin Guild at the Installation that preceded the WCD Banquet in October, bringing total membership to over 100. The Guild currently has members from the UK, Spain, France, Italy, USA, Russia and Japan. We have current enquiries and applications from the UK, USA, Germany, Holland, Ireland and Sweden and have several already booked on the list for the Guild Spring 2015 installation. New members took their solemn oath on joining, before each received their sterling silver badge, in the form of a sprig of juniper, to signify their membership. Members then attended The Worshipful Company of Distillers Annual Banquet in the famous Egyptian Room at Mansion House. Details of the members joining at the installation are set out in the members only area of the website. The talent and expertise added to our Guild is growing and the level of new entrants this year is testament to that. We hope they look forward to being part of the Guild, which represents the best of the trade, with entry strictly for those who uphold the Guild’s values of excellence. The event also saw The Gin Guild’s firstever Life Time Achievement Award, for dedication to the production and promotion of the highest-quality gin, presented to Charles Maxwell. Charles’ family has been distilling since the 1680’s, and his knowledge and experience is highly respected around the world. Charles is a great ambassador of gin and, having started his distilling life in his family company, continues to distil numerous gins at his company, Thames Distillers. Please check the brand section of the Guild website to ensure that your brand entry is correct and up to date. Please note this members only area on the site includes film clips that are useful for staff training and reference and member access to the IWSR gin report summary and discount offer referred to in this newsletter. Please let us have news and event information for the website and our twitter and Facebook page (@theginguild). A report arrives of an unusual custom at livery dinners held at The Clothworkers Company. Guests are asked ‘do you dine with Alderman or Lady Cooper?’ Apparently Alderman Cooper died at a dinner in 1664, when, after a fit, he was dosed with brandy by his hosts. The next day his wife reprimanded the Company’s Clerk saying that, had the Alderman been given his customary Holland’s gin, he would have recovered. The widow then gave money to provide gin at dinners, as an alternative to brandy. As a result at dinners guests are offered a choice between gin (Lady Cooper) and brandy (Alderman Cooper). just-drinks/IWSR earlier this year published the first version of what it described as vital Global Gin (category) Insights, in an easy to use package, summarising market conditions, providing a snapshot visual view of future category growth hotspots, summary consumer drivers, product innovation insights and a review of recent brand performance across the world. just-drinks/IWSR has provided a taster of that report to the Guild. The taster report can be accessed in the Gin Guild members only area of the website. just-drinks/IWSR are offering a 15% discount to our members on the cost of acquiring the full report (usually £900). The Guild is again running the Gin Series talks at WSET in Bermondsey on the evenings of 24 February and 3rd March. The audience is usually drawn from those in the industry studying the WSET Spirits exams and also keen gin consumers. If you are near London and would like to join a panel of volunteers to speak on one of the short topics that we will cover (well within your individual comfort zone), or indeed may be persuaded to speak at other Guild open events (such as the Ginposium), please let us know as soon as possible. The new home of Bombay Sapphire and its family of gins is a gorgeous setting in rural Hampshire. It is a stunning transformation of an historic mill which, until the early 1900’s, was used to produce paper for banknotes across the British Empire. This derelict property, discovered by John Burke of Bacardi, has been lovingly and painstakingly renovated and developed under the careful eye of English Heritage. It is well worth a visit. The old industrial buildings that house the stills (which themselves are a range of old and new) are complemented not only by the little river of the Test, which has been opened up and made into a feature bisecting the site, but by two stunning glasshouses designed by Heatherwick studio. The glasshouses, juxtapose huge modern trumpet shaped metal and glass shells with the red brick building of a stillroom. They feature and illustrate key botanicals used in the gin production. There is a tropical glasshouse and a Mediterranean glass house. They are heated by excess heat from the stills. An opening party on 17th September saw gin writers, bar tenders and others in the trade from all over the world join Bacardi to enjoy their special Laverstoke cocktail, as well as numerous other cocktails and gin and tonic serves, provided from several bars on site (including one in what was a former vault for banknote paper). Bombay, having the luxury of designing the site with a visitor element in mind from the start, have developed an interactive map with touch microchip facility at key locations with audio and visual information enabling a self guided tour. The Bombay new visitor facility, (above) along with distilleries and visitor experiences at Beefeater, Sipsmith, City of London, Jensen’s, Bramley & Gage, Alcohols Limited, 45 West Distillers, Union Distillers, Warner Edwards, Plymouth Gin, Adnams, The Cotswolds Distillery and Hayman Distillers, were all detailed in Guild discussions with Visit England. We are delighted to announce they have now added information for each of these distilleries to their tourist information website and other materials for visitors to the UK. Thank you to all of the members listed who promptly responded to the short notice enquiry that the Guild circulated on that issue in the summer. If others have developed visitor experiences, please let us know and we can pass that information on to Visit England. From the top: Sipsmith distillery in Chiswick, Jensen’s distillery Bermondsey, Warner Edwards distillery in Northamptonshire and The Cotswolds Distillery in Stourton, Warwickshire. The DG has visited the stills of all of the above. If you have a gin related topic that you would like to share with the membership and beyond, please note that we are looking for discussion and thought provoking material on gin, serves, trends etc. We want to build a panel of topics, writers and materials (subject to editorial review and approval by the Guild board), to feed to trade and consumer press under the banner of the Guild. We hope by maximizing the knowledge, and skills of Guild members that we can regularly supply materials to the media and so can ensure on-going impact (with acknowledgements to contributors), as well as lodging the features on the Guild website as a long term resource for journalists seeking the latest gin news or interesting trends and issues. So be it suggestions for topics or draft articles on aged gin, multiple botanicals, esoteric or local botanicals, unusual serves, production methodology, cocktails, alcohol base spirit preferred, or comments on the topical craft/artisan/scale of production debate, or indeed any other topic of gin related interest (but of course avoiding just being an overtly brand led work), please send them in for review. Please also add the Guild to your press release circulation so that we can see what you are all up to, as again this is useful for topic generation. The Gin Guild joined as co-speakers with Caskstrength, in the Members Bar at Royal Festival Hall (Southbank Centre), in July, to present a gin appreciation event for consumers. The speakers were Neil Ridley, Joel Harrison and Nicholas Cook. Attendees discovered how the aroma and taste of juniper influences the flavour of the gin, both on the nose and on the palate and learned how the thirst for gin has developed internationally over the past decade, from the Philippines to Spain. Attendees sampled a selection of gins and were able to ‘blend’ distilled botanicals to try to ‘create’ their own gin. Neil and Joel have just published their new book “Distilled” (published by Octopus), which has a good chapter on gin. The Guild prepared a press release format, after discussion with our PR agency, which covered an approach for member distilleries in London (in a form accessible for London and national media), and a variant approach for regional distilleries. We also suggested non distillery owning brands ensure that they too use a variant of the press release for their own consumption, as part of their WGD coverage/efforts, as this included reference to the renaissance of gin and to the Guild and might provide an additional impact, authority and weight. All of these were to be timed (along with a press release, with photos, from the Ginposium), timed to be with media sufficiently ahead of time to get the best chance of coverage. We will see if this can be adapted or improved for future years. If members have ideas for this event for 2015, and suggestions as to how the Guild can generally promote the category for the day, please let us know. The DG attended the Fever tree pop up bar in Hoxton. This was a 6 week long version of its one evening event at Chelsea in 2013. A very popular facility, it focused media and consumer attention on gin and serves. Over 160 gins on offer – with a variety (all Fever tree of course) of tonics. Knowledgeable Fever tree staff were in attendance and it was a well presented event. There were also first outings for Tanqueray’s Old Tom and Simon Ford’s Ford’s Gin. It was an excellent example of a consumer targeted gin category promotion, and attracted well-deserved wide coverage. As mentioned in the last newsletter, a number of Craft Distillers have said how they love the general networking between members but would love to be able to have an even more frank exchange of views, information and brain-picking within their peer group. Many are at a similar stage of growth, many are not so distant from their own start up that they remember their own experiences and many of course are more geographically restricted than bigger distillers. If there are members who would be willing to share their own experiences with members (all of whom of course have already proved their gin credentials as part of the membership criteria), and be willing to help by pointing members with specific queries in the right direction, or who have a problem or query and would conversely welcome the opportunity to “ask a friend”, please make yourself known to Nicholas Cook, who will try to broker interplay between relevant parties (preserving anonymity if wished). This could form a future Q&A section of the web site members area if found to be of use. Many of you have also said that you are receiving a number of enquiries from people “wanting to set up a distillery” and wanting the inside track without doing much research themselves and lazily seeking to piggy-back on your hard work. We hope to put a short guide to the subject on the website to provide members with an escape, by simply enabling you to refer such enquiries to the site. We circulated Guild members with details of this event, as the Master of our parent company, the Worshipful Company of Distillers (WCD), invited Guild members and their guests to attend. The sell-out event brought together some of the world’s top spirits with many of the winners of the IWSC spirit competition. It provided an opportunity to sample and appreciate a wide range of top spirits. This is the WCD’s seventh year of hosting this splendid tasting. There were up to 200 different spirits on offer. Look out for the 2015 date for this popular event. The IWSC used the occasion to announce the Medal Winners, including the two Guild sponsored Gin Awards. The London Dry gin award was won by See-Gin Bodensee Dry Gin, from Steinhauser GmbH, Germany. The Contemporary gin award was won by Big Gin Barrel Aged, from Captive Distilling Seattle in the USA. The Guild (as in 2013), ran a gin bar to precede/supplement the tasting. The DG attended a press tour to Iceland to see the source of the special water that is used in Martin Miller’s. The tour included an introduction to the history of the gin and commentary on the water and its special qualities and effect. Attendees, in the spirit of research, also tried locally made soft drinks and beers to ensure they had a full understanding of the effect of the water on Icelandic drinks and were as impressed by these lesser beverages as they were with the effect on the gin. Miller’s provided a tour of the bottling plant, a visit to the water source and threw in a visit to the steaming thermal areas and a cross-country lava field crossing by jeep. Over 300 earthquakes were recorded over the duration of the tour, as one of the countries ever present volcanoes prepared to spring into action. The Cotswolds Distillery opened in Stourton, Warwickshire. The DG was invited to join press and media at the opening in July. This is a new build project, with a first phase investment of 4 million pounds. Daniel Szor, the founder (and new Guild member), is working with a number of distillers: Alex Davies, a Heriot Watt graduate with experience at Chase, along with Shaun Smith, consultant Master Distiller Harry Cockburn and Expert on Ageing, Jim Swan. Stills are 2,400, 1,600, and 500 litres. Gin sales commenced in September 2014 and the gin has just won a 5* review from Difford’s Guide. The distillery aims to create quality whisky, gin and liqueurs with artisan provenance, and to pioneer the production of quality spirits from the Cotswolds. Members proudly wear their Gin Guild sterling silver “juniper sprig”. They may be interested to know that our Hatton Garden silversmiths were also responsible for the design of the bronze Gin Guild Lifetime Award. The start of that story was a pencil sketch. The basic shape was turned from a piece of wood. The inscription was drawn up and cut into the wood. 25 grams of juniper berries were then added to the ‘recipe’, providing the rather nice ‘hidden’ reference to juniper on the underside of the award. 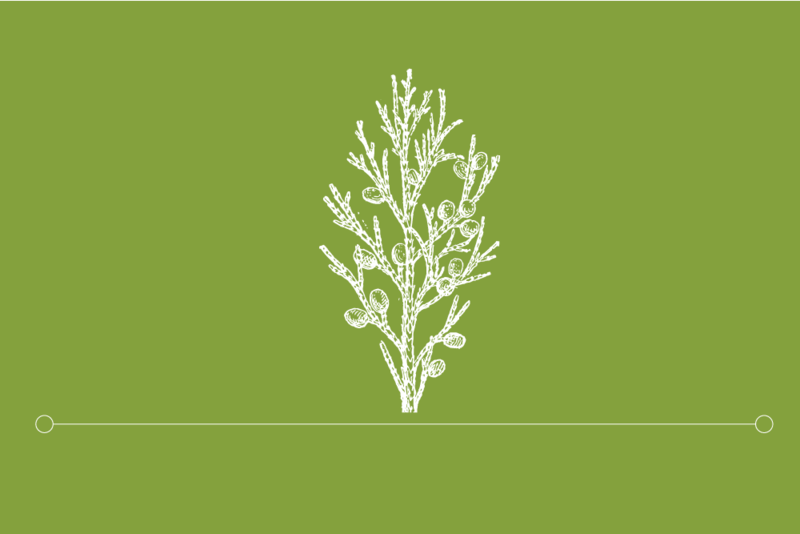 The juniper sprig was modeled in wax onto the wood, a mould was then taken of the entire piece, and a wax version made. By the ‘lost wax process’, the wax pattern was ‘invested’ into plaster, burnt out, then replaced by molten bronze, and the pattern became bronze. The bronze was filed up, sprues (the feeder channels) were removed. The inscription and decoration were then over chased with small steel chisels. The whole was then patinated with noxious chemicals to find a colour close to juniper berries, before a final polish and waxing. The Guild had a limited presence at the Expo due to Mansion House date conflict. We co-presented a ‘meet the makers’ session, taking along a number of member gins as selected by the expo organisers. Heals store in London, as part of London Design Week, held some parties in-store. At very short notice Heals asked if a brand would like to support their event. The Guild offered various brands to the company and they chose some they would possibly like to work with and, having approached some brands, G’Vine stepped in to help. Congratulations to the Morning Advertiser for organising the Spirits Summit. A very entertaining and informative line up and a very busy day. Much mention of gin of course and the need to make sure that bars etc. offer a choice of gin to customers and that they serve it with pride and with a quality serve. If they do, the statistics show increased sales and more loyal customers. Well done to Diageo as main sponsor and to their BarAcademy – a programme for training bar staff. A well presented Tanqueray was enjoyed! A consumer raised a query with the Guild having purchased a bottle of ‘branded’ gin (of a discontinued name) in Northern Cyprus. Having checked the brand after purchase he discovered it was discontinued, so wondered if it was genuine or not. We raised the enquiry with the manufacturer of the genuine brand and it became clear that the bottle was a fake, as there was at least one error on the label. On-trade substitution was one of the topics discussed at the Ginposium, counterfeit gin, especially given press coverage of a recent fatal case in the far east, with the additional potential for reputational damage, despite being blameless, is obviously also of concern. If members would like this as a future Guild seminar topic, please let us know. We are planning our activities for 2015. If members have ideas or thoughts on how they would like the Guild to help the industry (and them), to promote gin, such as seminars, or social ideas, or shared product launches or articles, for the trade or consumer press, or consumer events, that they would like to provide jointly with the Guild, please let us know. A further Gin Series in February/March 2015 in London in association with WSET, aimed at spirit students and the very keen consumer. If any members within easy reach of London would like to volunteer for a panel from which we can secure our speakers, please let us know as soon as possible. The intention is that this would be bar-based and that the Guild would partner with experienced bar operators to produce training. Expanded activities to boost direct Consumer interest and consumer education. The Guild will seek to be a sponsor of opinion formers and secure articles/materials etc. for publication for press, influencers and targeted groups. Potential authors and views for this element would be welcomed from members. Attendance proposed at some key consumer food type events, as a series of trials, with a Guild ‘Gin Palace’, providing a shared base for a number of volunteer brands to pool resource and to showcase their gins and to talk about their production etc. Bogart to Bond and Beyond – “The Perfect Martini” – ‘Shaken but not slurred’ (for London Cocktail Week 2015), is the current working title and concept. This is likely to be a small event aimed at the press and bar tenders in a central London venue (given that Cocktail Week again clashes with our annual Mansion House event). Members interested in participating/supporting with their Gin Ambassadors should contact the Guild so that the event can be formulated. Please note that the latest Bond film is due out in November 2015, so the timing would be fortuitous. A Members tour of one of the larger gin distilleries, with added detail and elements not seen by the public, hopefully with an informal industry networking meal element as well. Finance, conventional and alternative finance/crowd funding etc. workshop – a very topical subject and of interest to new startups. Craft distillers – a possible talk by still manufacturers and recent purchasers of stills as to the pro’s and con’s of respective manufacturers.